Taking the time and trouble to learn how to cut a pineapple is well worth the effort in my book. 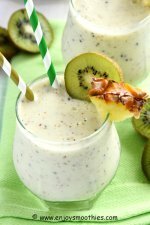 Whether you are using pineapple in a salad, smoothie or dessert, whether you are using it raw or cooked, the fresh variety tastes a hundred times better than canned and looks much more inviting. Plus it’s also healthier, minus that sugary syrup. If you can’t source fresh pineapple, the only other alternative I use is the frozen variety. 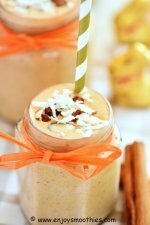 Although some recipes lend themselves to frozen pineapple better than others, such as desserts and smoothies. Fortunately fresh pineapple is usually readily available in the markets for those of us who don’t happen to live in sunny climes. The other good news is that they aren’t expensive. But how to separate that juicy golden fruit from its spiky exterior? It may seem daunting at first, but with a little know how it’s not as hard as it looks. How do you know if your pineapple is ripe? The base of the pineapple should smell sweet and fresh. If there’s no sweetness or you detect an odor, give it a miss. The pineapple should feel firm to the touch when a little pressure is applied. If it’s soft, then it’s too ripe. All you need is a sharp knife and a cutting board. But if you really want a perfectly round center hole then you will also need a pastry cutter. First you need to remove the green spiky top. 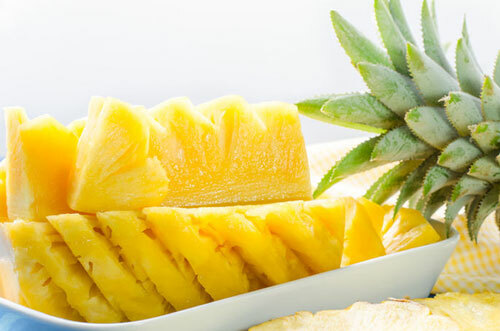 Lay the pineapple on its side and cut completely through about an inch from the spiky leaves. You need to be this generous as the top of the pineapple can be tough and fibrous. Now trim off the bottom. Again lay the pineapple on its side and cut through, being equally as generous, cutting about an inch from the end. Sit the pineapple back upright. Take a sharp knife and using a downward motion, carefully cut the skin off the sides working your way around the pineapple. Now there are two schools of thought here. Some like to cut as close to the edge as possible, leaving the eyes exposed. Others like to make deeper cuts, cutting off the skin and eyes together. This method makes life easier, as you don’t have to go back and cut out the eyes. But remember the juiciest part of the fruit, is just below the surface of the skin. If you want to try the former, take off just enough so there’s no skin, but the eyes remain. This retains all that juicy flesh. With a little practice you will learn to do this quickly and easily without leaving too much or taking too little of the skin. Your pineapple will now be left with brown dots, called “eyes”. These have to be removed. They are too prickly to be eaten. If you look carefully you will see that the eyes line up in a diagonal pattern across the fruit. 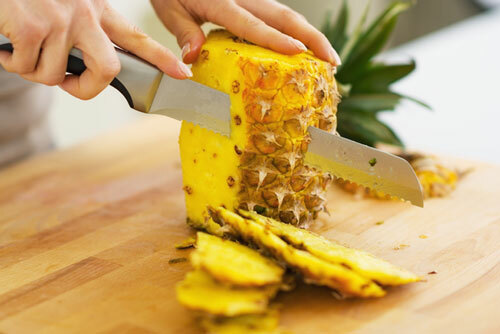 Take your knife and cut into the pineapple as if you were making a “v” without cutting too deeply into the pineapple. Then make a cut on the opposite side. Just work on a few at a time. You should now have a wedge that is easily removed. 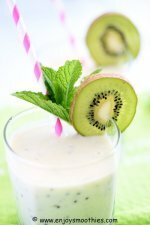 Continue working round the fruit. Your pineapple should end up looking like this. This method may be a little more work but you will end up with juicier fruit. Cut the pineapple in half length ways, then into halves again, making quarters. You will want to cut out the core, which is very woody and not very pleasant to eat. 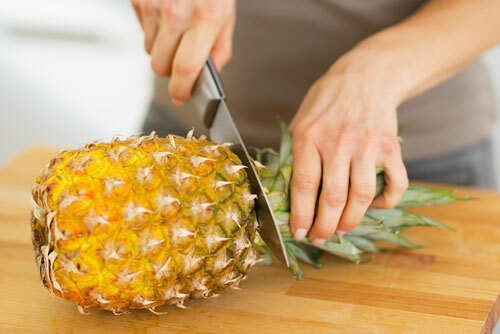 Stand the pineapple quarters upright and neatly slice off the core with a sharp knife. Lay the spears on their side and slice into bite sized pieces. 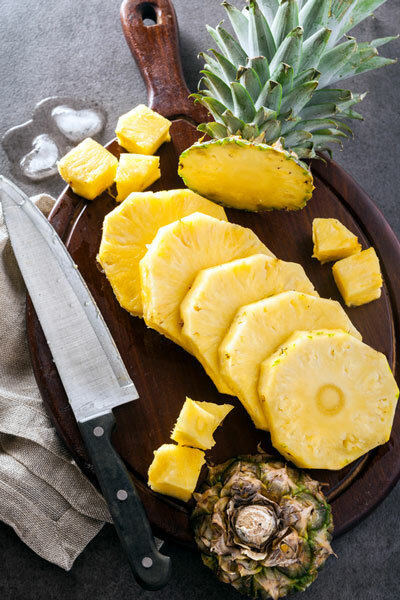 Lay the pineapple on its side and cut into evenly sized slices about ¾ inch thick. Either cut out the central core from each slice using a small, sharp knife, or stamp out the center using a pastry cutter. 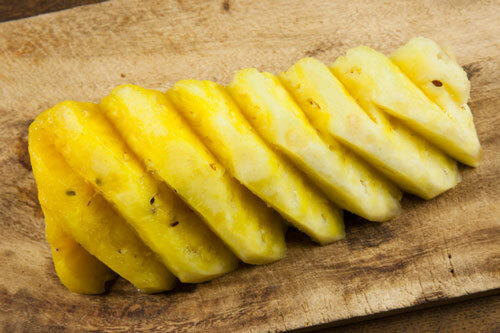 You should now have a perfectly dissected pineapple ready to enjoy. 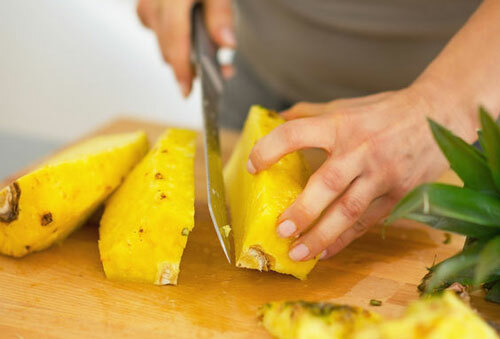 Learning how to cut a pineapple is a skill well worth mastering. Not only will you be able to show off your knife skills, but you will benefit health-wise as well as taste-wise. It's a win-win.